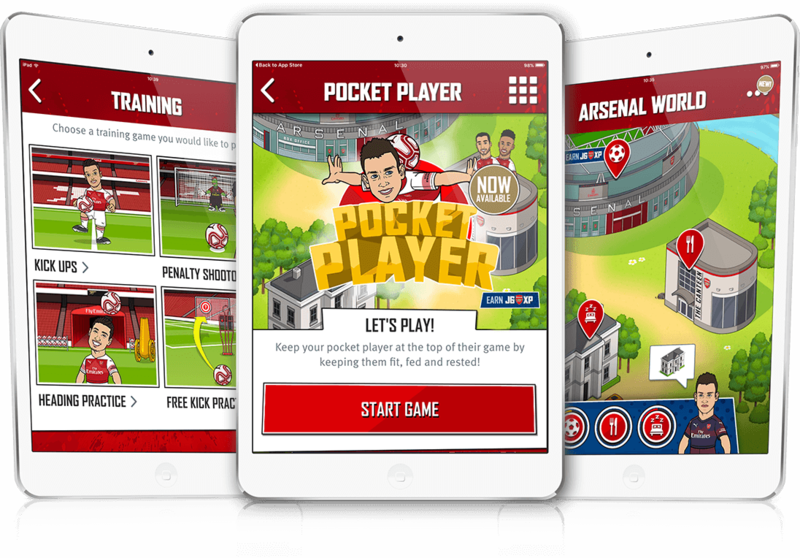 Youth Engagement Developers, Gamification Developers, Mobile App Development Agency Junior Gunners Summer '18 Release | Youth Engagement, Gamification, Mobile App for Arsenal FC | Koko Digital Junior Gunners - mobile app created for Arsenal, designed and developed by Koko Digital. 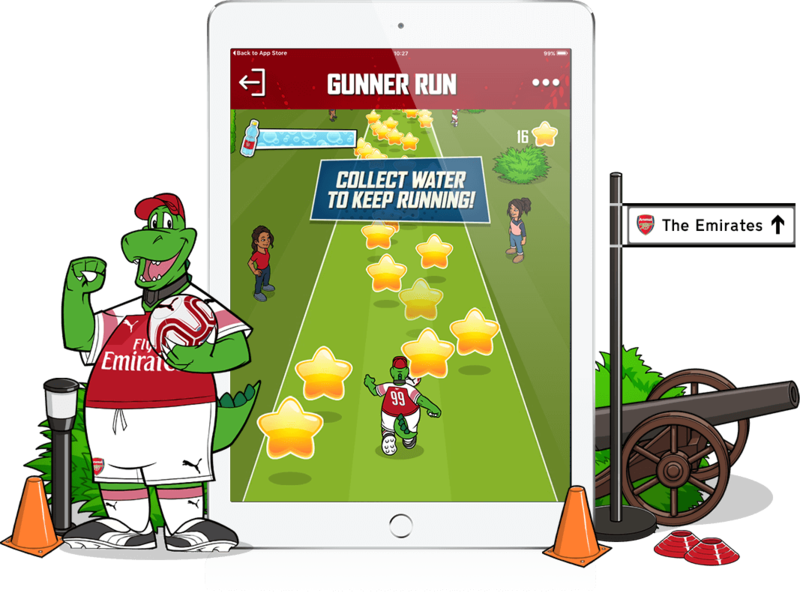 The Junior Gunners app is for young Arsenal fans who want to experience a gamified Arsenal world. Having mastered the football world, Arsenal FC decided to grab a slice of the digital media world for their junior fans. We’ve been working with the football giants for a few years now and we’re proud to be part of such an exciting online venture that is ongoing and ever changing. 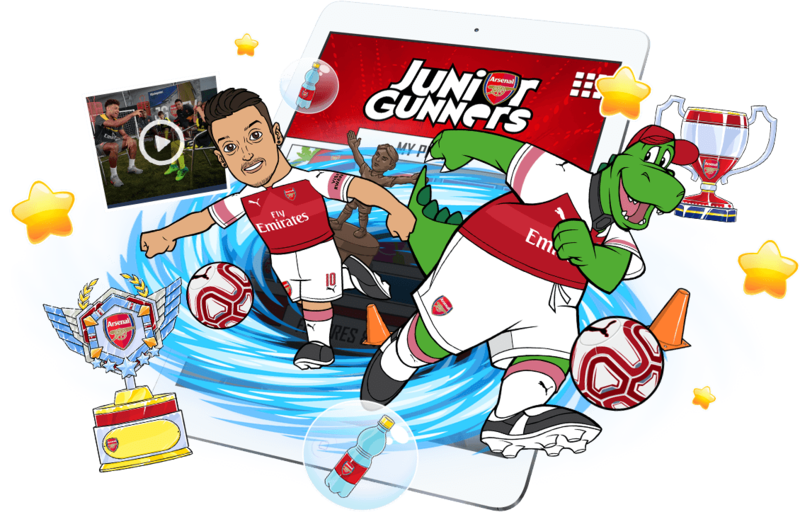 To support their existing Junior Gunners youth scheme that engages young fans at the club, Arsenal wanted to provide a fully interactive android and iOS app that was fun and educational with exciting and informative content that covered a large age range across multimedia platforms. The app was to help increase digital membership targeting the youth market, so we had a tough but exciting task on our hands to meet every requirement! 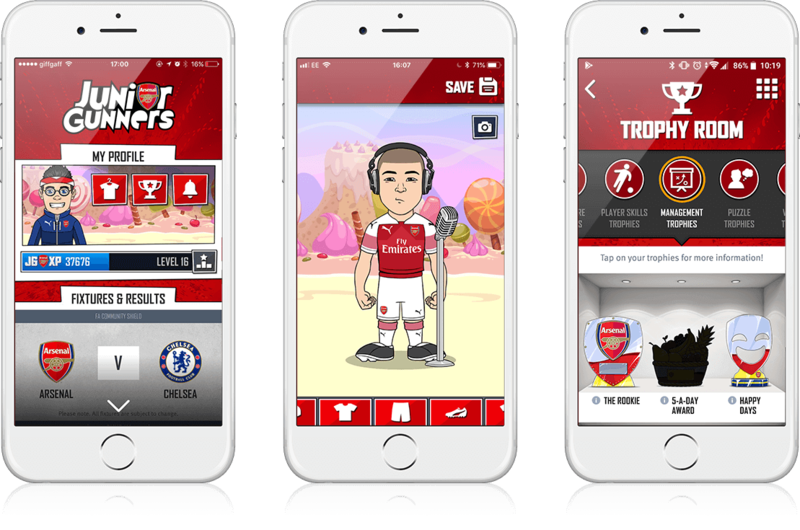 The Junior Gunners app was launched in 2016 to huge global success. Content is widely varied from fantasy football style games that encourage users to return on a regular basis, to maths and spelling based games plus Pocket Player, a world inside the app with a character that needs constant engagement. The Junior Gunners app has grown exponentially and we continue to provide quarterly updates with new content throughout the year. Big thumbs up all round! Avg. session over 10 minutes!